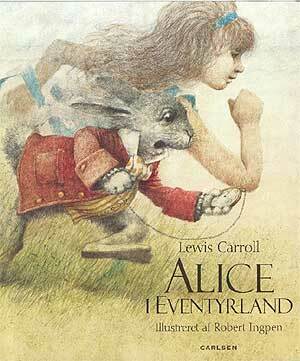 Egyptian Alice: adapted and abridged from the Lewis Carroll original. 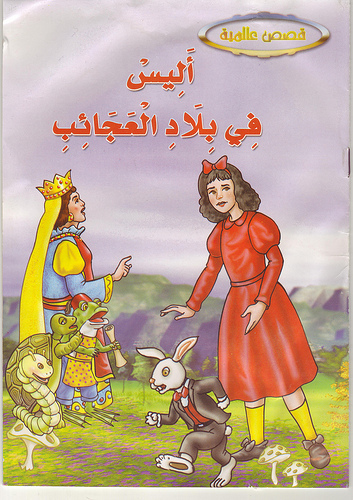 I can’t give much info on this one, as it’s all in arabic, apart from the date 2010 and a number: 0106372799- which unfortunately doesn’t seem to be an ISBN number. The book was a present from Egypt via my friend Debbie- thanks Debs! It’s a 16 page softback picture book, and judging by the illustrations includes several of the familiar episodes- the hall of doors, the pool of tears, the caterpillar, and the duchess’ footmen, but omits the Cheshire cat, the mad tea party, the White Rabbit’s house and the court scenes. The book seems to end with Alice talking to the Mock Turtle- no sign of the Gryphon. I’d love a translation. 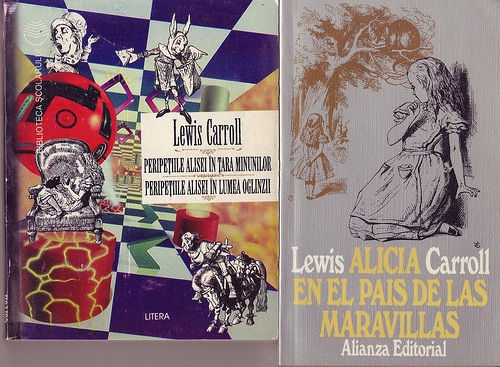 Alicia in Terra Mirabili by Lewis Carroll, illustrations by Tenniel. Translated by Clive Harcourt Carruthers. Published by Macmillan, 1964. Hardback with dustjacket. 8vo. First Edition. Not much i can say about this one, really. It’s Alice. In Latin. Have an excerpt. Et usque cogitabat quomodo id efficeret. ‘Soleas oportet a gerulo apportari; et quam mirum mihi erit dona ad meos ipsius pedes mittere! Quamque inusitate inscribetur fasciculus! 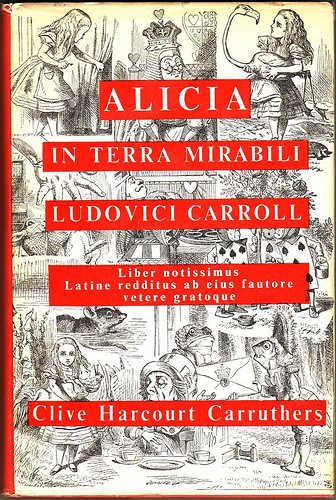 Available on amazon: Alicia in Terra Mirabili , but I think mine was bought on ebay. Generally not too expensive. There’s a Looking Glass as well: I don’t have that…yet…. Left: Romanian, I think. Published by Biblioteca Scolarului, 1982. Tenniel illustrations. Bought for me in Bogota by my ex-husband. Alice i Eventyrland by Lewis Carroll. Translated into Danish by Birgitte Brix and illustrated by Robert Ingpen. 2009, Carlsen. Robert Ingpen is an Australian illustrator and graphic designer. He has also written numerous children’s books and also some non-fiction. I wonder if he’ll be doing a Looking Glass any time soon?